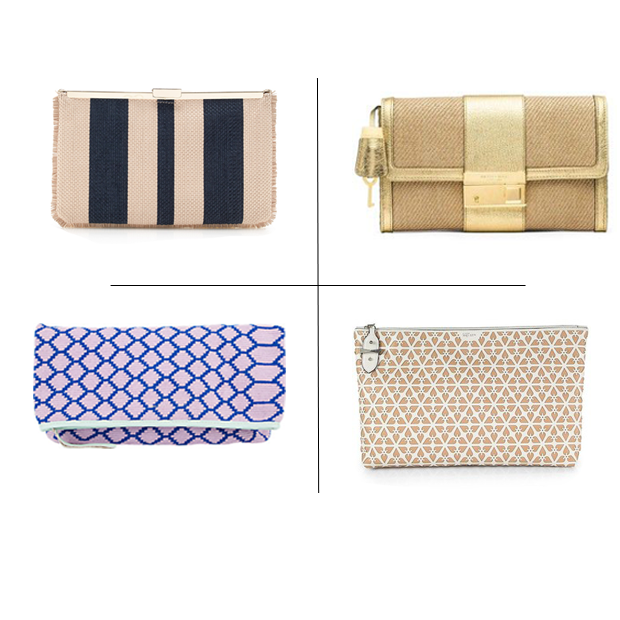 Lately, I’m craving clutches! My loving and amazing husband surprised me with this one for Mother’s Day (you can imagine my overwhelming delight! ), and I have literally worn it nonstop. Since receiving this gorgeous and oh so special gift, my ears perk at the word clutch, and I have been noticing more and more of these precious pouches that are perfect for summer and warm weather. 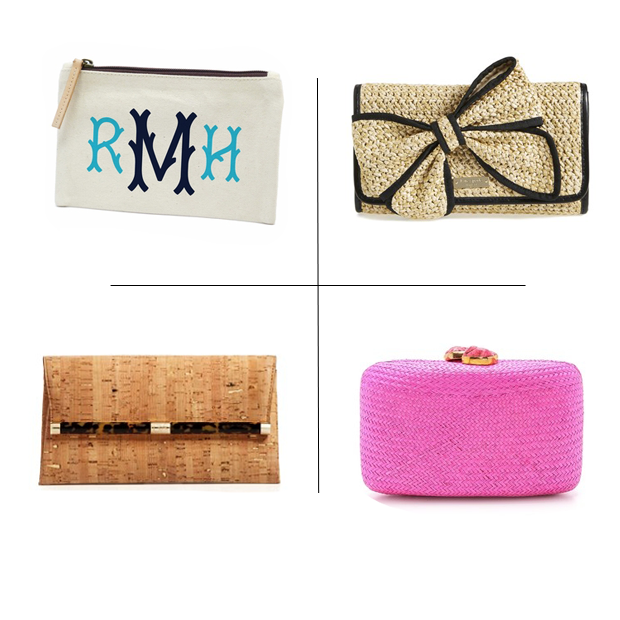 Here are a few of my faves – the hot pink and canvas are particularly lovely. Enjoy!